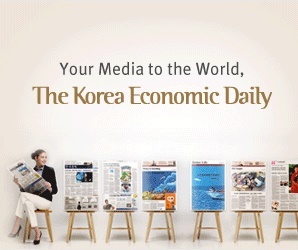 Goldman Sachs’ Special Situations Group (SSG), which invests in and lends to distressed companies, is in talks with South Korean retirement savings funds to resell senior secured loans of 200 billion won ($178 million) it has made to a leading South Korean e-commerce company for an annual rate of 4%. The senior loan is part of 300 billion won ($267 million) Goldman’s SSG provided in April to loss-making Coupang Corp. which started as a social commerce website in 2010 to become the Amazon of South Korea. The loans are collateralized by two logistics centers of the online retailer built last year and inventory in the warehouses. “We are considering investing in the loan because of Goldman Sachs’ credibility, rather than betting on Coupang’s business outlook or the value of the logistics centers used as collateral,” a South Korean institutional investor told the Korean Investors. Coupang will hand over the warehouses to a real estate trust company and pay an average rate of 7% per annum for rent. SSG structured the loans into senior and subordinated tranches of 200 billion won and 100 billion won, respectively. The loans represent 60% of the collateral’s value of 500 billion won. The two logistics centers are located in west and east of Seoul. Coupang spent around 400 billion won on the construction to facilitate its “rocket delivery” service, its quick and safe delivery system. SSG will continue to own the subordinated loan of 100 billion won which yields a rate of 8.5% per annum. In 2015, Coupang raised $1 billion from a new share sale to SoftBank, a year after it raised $300 million from a consortium led by BlackRock. In early 2014, California-based venture capital firm Sequoia Capital invested $100 million in Coupang, founded by Harvard University graduate Bom Kim. But losses at the e-commerce startup widened to 562 billion won in 2016 as competition heated up in the electronic and mobile commerce market into which the country’s top retailers and mobile service companies have been making an aggressive push. SSG is one of Goldman’s most profitable operations. It bought $200 million in distressed loans of South Korea’s top distilled spirit maker Jinro in 1998, in the wake of the Asian financial crisis and resold them at $1 billion in 2005. In Thailand, SSG acquired auto loans in 1997 at 45% of their face value when the Thai baht plummeted and sold them back later for more than double the price. If Coupang falls behind on the interest payment, Goldman Sachs will take over ownership of the warehouses and the inventory. The value of the properties and goods in stock is worth 390 billion won, or 130% of the loan principal.